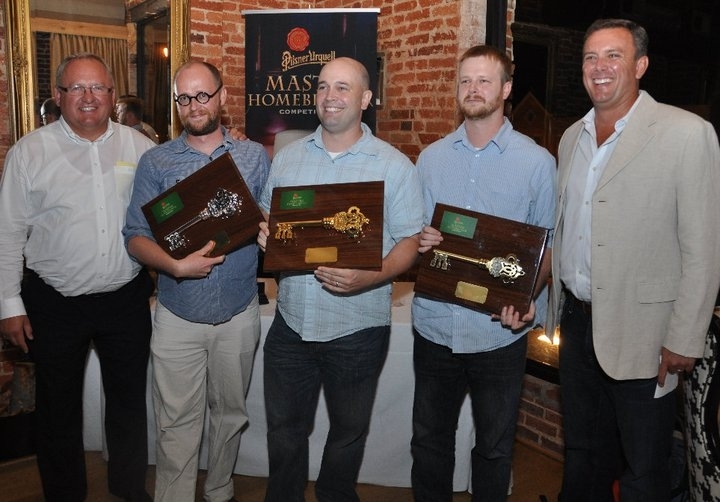 Pilsner Urquell has organized three homebrewing competitions here in the United States this summer. The purpose of the competitions is to test the ability of homebrewers to recreate their historic pilsner. Events were held in New York City, Chicago, and Washington DC. I was fortunate enough to attend the event in Washington DC, along with Jamey Barlow, who was one of the 50 competitors. Pilsner Urquell, which translates roughly as the original source of pilsner, is hailed as the original pilsner style beer. Traditional Bohemian beers were dark and thick ales and were losing market space to golden beer imported from neighboring Bavaria in the mid-1800s. In 1842, Josef Groll was brought in from Bavaria to create and run a new modern-style brewery in the town of Pilsen. He brought with him a lager yeast from his homeland, along with Bavarian malting and brewing techniques. When these were combined with the soft water of Pilsen, the golden lager beer style of Bohemian Pilsner was born. 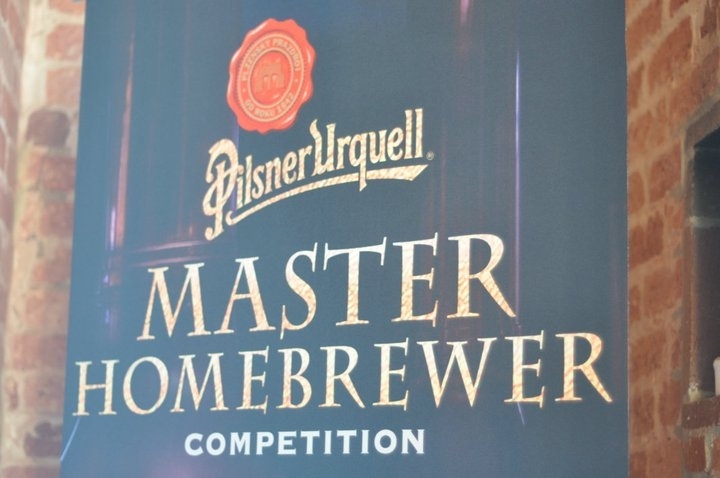 The Pilsner Urquell homebrewing competition asked homebrewers to attempt to clone the original Bohemian Pilsner. The brewer who made the beer closest to the original would win the grand prize, a trip for two to Pilsen to tour the Pilsner Urquell brewery. Heading up the judging panel was Vaclav Berka, the Pilsner Urquell Brewmaster and only the sixth person to hold that title since 1842. "Home brewing is becoming more and more popular, and these brewers keep getting more talented, so we're excited to offer this challenging opportunity," said Berka. "The competitors will need to brew carefully, but the potential prize, including their wonderful batch of beer, should be a strong incentive." In addition to Berka, the judging panel included import and brand personnel and some beer personalities from each competition city. While the competition is definitely part of a larger public relations campaign, the company certainly did it right. The Washington DC event was held at a popular bar, Smith Commons, that had adequate space for judging and chatting, along with a nice draft selection. They assembled a good panel of judges and clearly stated the judging criteria - the beer that best matches Pilsner Urquell wins. Pilsner Urquell invited 50 homebrewers and their "+1's" to the event and provided food and tickets for draft Pilsner Urquell. As a side note, I must say that I found the draft version of the pilsner to be a bit lacking, as it was relatively high in diacetyl and tasted flat. I have tasted better versions in bottles. I enjoyed the evening and even got to meet some Washington DC homebrewing celebrities, like Michael Tonsmeire, author of The Mad Fermentationist. If Pilsner Urquell elects to repeat the event next year, I will definitely enter and if they come to a town near you, I would encourage you to do the same.